The Centre for Science and Environment (CSE) has welcomed the initiative by the Arvind Kejriwal government in Delhi to announce emergency measures for bringing down the super severe pollution peaks that have persisted for about a week, posing serious health risk for children, the ailing and the general public. advising residents to stay indoors. However, restraints on vehicle numbers with the odd and even scheme and parking restraints must also be implemented simultaneously. Specifically, point out CSE researchers, diesel vehicles including diesel trucks and cars should be controlled. Vehicles contribute hugely toxic emissions very close to where people are, thus exposing them to very high toxic risk when pollution remains trapped close to the ground level. Along with vehicle restraint measures, the government needs to scale up and intensify the public transport system. Globally, emergency action kicks in the moment pollution hits the worst air quality level according to the National Air Quality Index and persists at least for three consecutive days. This is done to immediately reduce peak levels to protect children, those suffering from heart and respiratory problems, and also the general public. 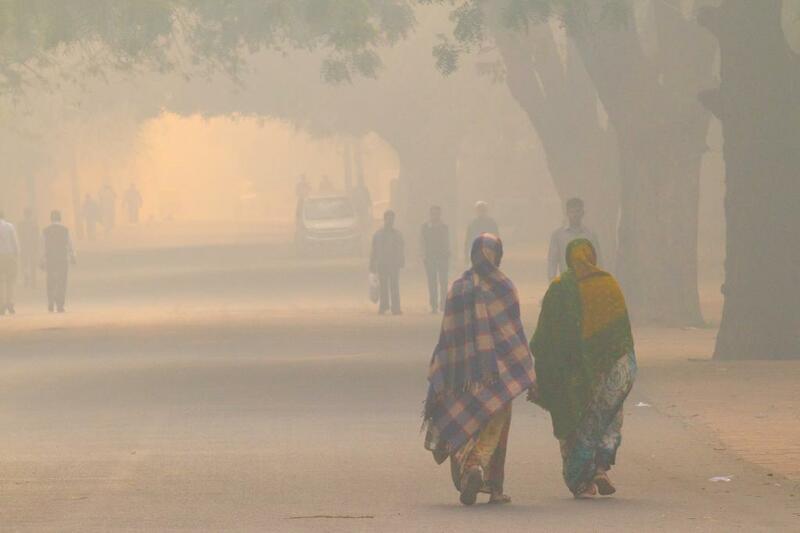 In Delhi, there has been no respite from the choking haze of pollution since Diwali. Analysis of air pollution data from the Delhi Pollution Control Committee shows that on Diwali day (October 30) the air was already saturated – the 24-hour average level of PM2.5 was 347 microgramme per cubic metre (cu m) and was at ‘severe’ level which is the worst category according to the air quality index. This further increased significantly post-Diwali when on November 2 the 24-hour average levels shot up to 577 microgramme per cu m. Yesterday – almost a week later -- it was far worse at 639 microgramme per cu m.
The peak levels were even more horrendous and not breathable. On November 5, the four hour averages (12 noon – 4 pm) of peak levels were as high as 732 microgramme per cu m in Punjabi Bagh, 762 microgramme per cu m in Mandir Marg and 566 microgramme per cu m in R K Puram. In Delhi, there is no room for more pollution. Act swiftly, effectively and urgently to protect public health. Emergency action needs strong enforcement and zero tolerance to ensure that the newly announced emergency measures are effective enough to lower the severe peak levels. But restraint on vehicle numbers and diesel will have to be included in the emergency deal. For more lasting and enduring impacts on air quality, step up short and medium term measures to reduce pollution from vehicles, power plant, industry, waste burning, construction and farm fires in a time-bound manner. Step up inter-state coordination to address the smoke plumes from the farm fires in Punjab and Haryana.